If you live in Henleaze and are looking for some modern aluminium bi-fold doors, Panoramic are the perfect installers for you. Why shop for aluminium bi-fold doors with Panoramic? As a more complex style of door, shopping for a bi-folding door can be a daunting task. 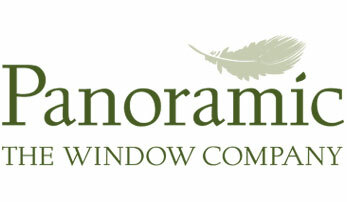 However, we at Panoramic strive to make the process of all home renovations as stress-free as possible for our customers, and that includes those who live in the Henleaze area. As a company with nearly 50 years of industry experience we are a name that you can trust, having also been accredited as an Assure Certified Installer for our work in the surrounding areas. This means that you know before you’ve even requested a quote that you’ll be dealing with a friendly and experienced service team, as well as highly qualified and professional installers. But in addition to our recognised level of service, we also take pride in delivering a high quality product for our customers, and therefore only work with suppliers who provide materials that reach our incredibly high standards. We’re proud to be able to stock Smart aluminium for our bi-fold doors as we believe they are the market leader in aluminium production. Why go aluminium for you Henleaze home? Aluminium products are among the most modern on the market today, and the aluminium bi-fold doors we offer at Panoramic are included in that. They are incredibly practical but come with a stylish and classy finish which could transform the look of your Henleaze home. All aluminium products are much more lightweight in comparison to other regularly used metals, which makes for easy installation and eventual use. The high-grade mechanisms used in our aluminium bi-fold doors will maintain their high performance levels even after plenty of use. Bi-fold doors, in particular our aluminium models here at Panoramic, can perfectly suit any property in the Henleaze area. Whether you live in a more modern home or something more traditional, our aluminium bi-fold doors perfectly compliment any style of home. They can completely bring it to life. With aluminium products being some of the most modern available to you in Henleaze, they naturally come fitted with the best security features a modern door could come with. Our aluminium bi-fold doors come equipped with a robust locking system as well our accredited double glazing for optimal security. Expensive energy bills in the winter months are naturally a concern, but with our aluminium bi-fold doors here at Panoramic, you can rest easy in your Henleaze home knowing your investment will keep the cold winds out and the warmth in. In time, this could save you money on your energy bills. Our aluminium bi-fold windows come with a slimmer profile to maximise the amount of our accredited double glazing we can use. This can revamp the look of even the darkest of rooms, allowing tonnes of natural light to flood through whether you opt to have the doors open or closed. Unlike some other products on the market, aluminium doesn’t rot or rust. Therefore, our aluminium bi-fold doors here at Panoramic are not only visually stunning but are a product which could last a generation. They require little to no maintenance after installation either, leaving you worry-free. 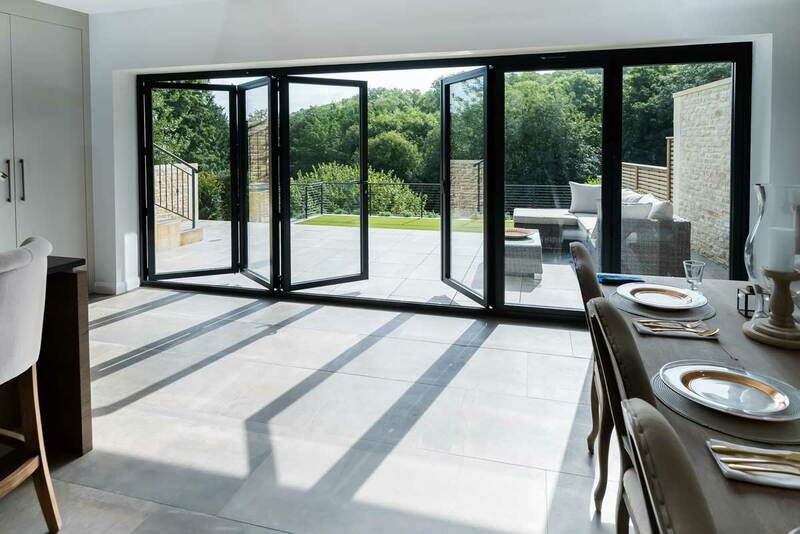 Whether your Henleaze home is a more traditional property or something modern, you can find an aluminium bi-fold door which is perfect for you. Our range is available in a variety of different colour options meaning you’re bound to find the shade which will suit whatever home you and your family live in. By using the high quality Smart aluminium that we work with at Panoramic, the bi-folding doors in your Henleaze home with fold back on themselves effortlessly. As a result, they will only take up a small amount of room meaning our aluminium bi-folding doors are not limited to those who plenty of space available. You can use our online quote generator to make a start on working out a price for your new aluminium bi-fold doors for your home in Henleaze. Otherwise, you can call us on 01179 560321 or request an appointment to come in and speak to one of our team face-to-face.